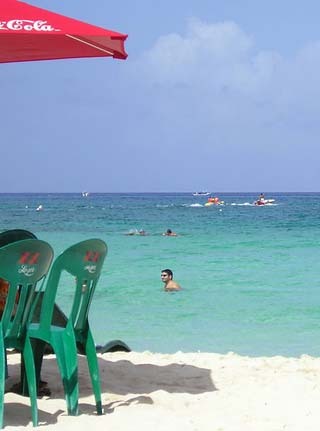 With over two million visitors per year, Cozumel is a favorite Mexico destination. Cozumel is a diver's dream, with hundreds of turtles, tropical fish and other sea life. Snorkelers can see over 250 species of tropical fish. Cozumel is steeped in history with ruins located around the island. Whether its diving, snorkeling, shopping, dining, adventure or eco tours, there's something for everyone. It's an island full of fascinating activities and attractions. Times to Travel: With its sub-tropical climate, Cozumel is a year-round travel destination. April through July are the warmest months and are perfect for snorkelling and scuba diving. With plenty of sunshine and cloudless blue skies, visitors are in for a treat any time of the year.